When new leaders joined J&M Tank Lines, they knew they needed an efficient way to understand the pulse of the company. J&M, a family-owned trucking company based in Birmingham, Ala., had already been using WorkHound to track drivers’ issues and concerns prior to Eric Hanson’s arrival. Hanson turned to insights from WorkHound to assess drivers’ needs. “We knew we needed to improve listening to the driver’s voice, and that began with providing our drivers a tool we can use to do so,” Hanson said. 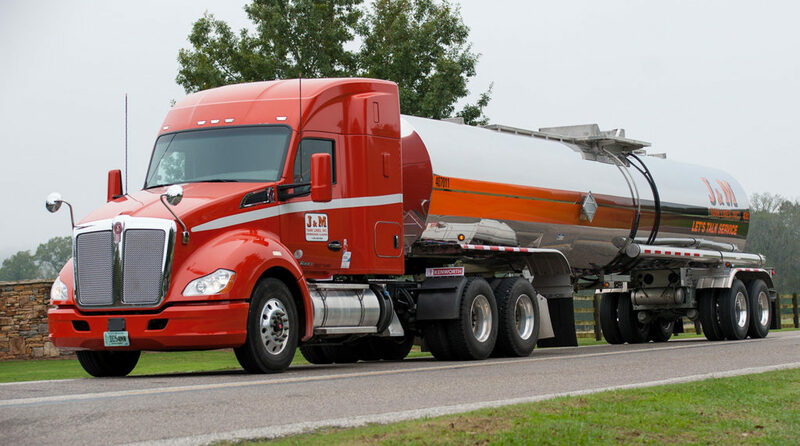 J&M transports non-hazardous dry bulk and liquid commodities throughout the eastern U.S. It operates more than 400 trucks and 18 locations in the South and along the East Coast. With drivers traveling across the country, J&M encountered similar challenges to other companies with distributed workforces: improving communication with drivers and employees, provide a sense of community, and make sure people feel connected to one another and the company’s overall mission. Hanson, who is J&M’s vice president of human resource development, had used other company-wide surveys in the past, but those more traditional feedback tools took a long time to launch, collect data, and review responses. Surveys can offer a deeper study of the root causes of problems, but annual surveys don’t always age well. Conversely, WorkHound can be set up quickly, provides nearly instantaneous insights, and helps managers keep an eye and ear on drivers’ concerns on a weekly basis. Instant feedback from employees is a big deal for large companies and HR professionals, who can make decisions that affect hundreds of people. Without up-to-date data informing those decisions, though, management runs the risk of reacting to last year’s challenges, rather than the ones their drivers currently face. This is particularly problematic in the transportation industry where driver retention is often more challenging than recruitment. Drivers function as independent contractors, and if they feel like their voices aren’t being heard, they can go to another company. The trucking industry is very competitive, and companies like J&M want to stay ahead of the curve. “Information and communication about anything that matters to the drivers gives us a competitive advantage,” Hanson said. WorkHound data and responses from drivers are seen by J&M’s decision makers and the company’s frontline. Items are reviewed and discussed by the organization, and management’s weekly action items are shaped by topics that drivers raise anonymously through the service. Insights allow management to identify areas of concern and prioritize the biggest challenges. In addition to submitting feedback anonymously, drivers may choose to share their identity. From Hanson’s experience, drivers who do choose to reveal their identity feel valued and appreciated when company leaders take the time to respond to the concerns raised through WorkHound. This provides a significant advantage over traditional surveys. There’s nothing worse than taking the time to fill out a questionnaire and not seeing any company changes come from it, he said. For J&M, WorkHound keeps lines of communication open. It puts drivers in control of the message—whether it’s concerns, compliments, or suggestions. Hanson said the responses are all over the board and that management is just happy drivers want to share them. “The biggest benefit is the drivers know we are listening, and that alone is crucial,” he said.